Marco Muscari is a young 32 but he comports himself as if he’s been making wine for decades. He approaches his work humbly and with an openness that this new generation has in Italy. He has inherited the reigns of this very young winery from his late father, whose vision was to produce wines in Lazio. Along with a few other varietals Marco and his father dreamed of producing Vermentino that would rival those from Tuscany. There has been this misnomer that once you cross the border between the two regions, which lies no more than 30 kilometers from the winery, the quality of wine goes downhill fast. How could this be? Does the quality of the soil change? Does the famous Tuscan sun magically stop shining in Lazio? I set foot on Marco’s vineyards to find out and it appears that the sun shines here just like it does in Tuscany and the disposition of the soil does not change much. Here you have a heavy soil with a calcareous base that holds water well during what can be a warm, dry summer. Marco’s father Sergio planted the vineyard in 2007 along with enologist and dear friend Gabriele Gadenze who is also a partner in the winery. Sergio and Gabriele planted two hectares of vine to Vermentino, Petit Verdot, Barbera, Alicante Bouschet and Montepulciano. 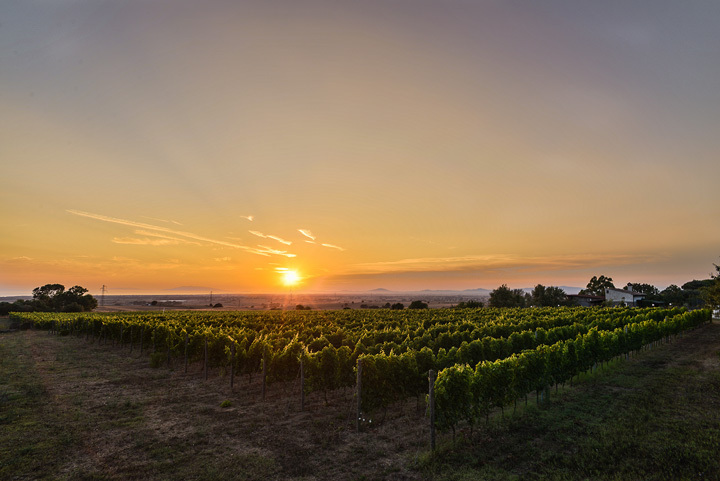 Petit Verdot and Alicante are two varietals that have found a home on the Tuscan coast thriving in close proximity to the ocean and in a warm Mediterranean climate. So, of course, does Vermentino. They selected a clone of Vermentino from Corsica which they deemed apt to be grown at this latitude.In Marco’s city of Tarquinia, they are on the same latitude as southern Cosica, actually closer to Corsica than to Sardegna. This particular clone is also less aromatically explosive and produces wines with more structure. The vineyard itself is North-South facing and thus sees a nice full day of sun. The “top” of the vineyard bumps up against a woodsy area that helps to create temperature variation and provides some all important biodiversity. From that point the vineyard slopes slightly downwards towards the sea which is a few kilometers away. This works well when it rains as the water slides all the way down the vineyard, bringing water to each row along the way. The winery is just a few vintages old, but will soon be certified organic. They are already producing this way with wild growing grasses and plants in between the rows that are never sprayed with pesticides and allowed to grow naturally. In the cellar they are very careful to limit the use of sulfur and are beginning to work with spontaneous fermentation. The property itself belonged to Marco’s grandfather who lived off the land growing olives, a bit of wine, and various crops. The little home where he lived has been since restructured and made into a tasting room, along with a tiny cellar. One of Sergio’s principle reasons for reviving the property was the fear that the coastal zones of Tarquinia were being built up, with large apartment complexes and businesses scattering the skyline and ruining the lovely countryside. Marco is doing his part to help protect this wild part of Lazio by proving the merits of the terroir and producing eye opening wines. All in all Marco’s production is about 7,500 bottles and he refuses to purchase grapes from outside sources. Marco currently has 2 hectares of land, those which were originally planted in 2007. Marco works each and every plant by hand himself throughout the year. His Vermentino – Nethun – named for Neptune the god of the see is a wine whose grapes undergo an overnight of cryo maceration and freezing temperatures to maintain aromas. From there the wine ferments at around 16 degrees Celsius and will pass into stainless steel, where it will be on the fine lees for three to four months. The first 2/3 weeks the wine will undergo daily battonage. 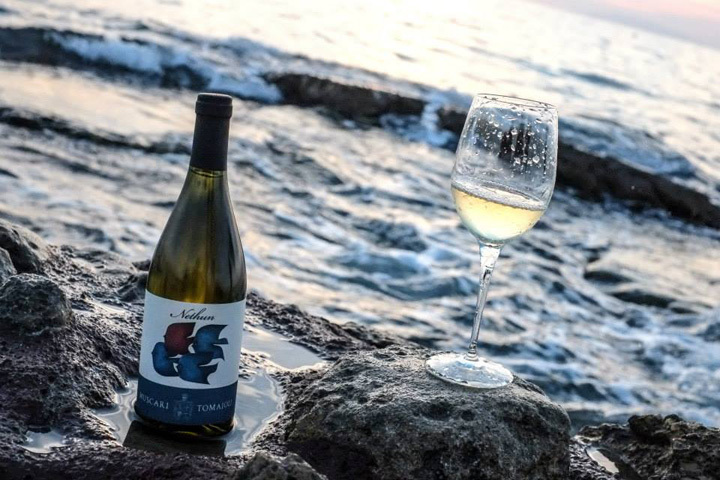 The wine itself tastes like the Mediterranean wind that blows on the property with notes of fresh fruits and flowers complimented by hits of lemons and lime. Many Vermentino’s of late seem fabricated in the winery with a fruit that shouldn’t be there and lacking this note of citrus. 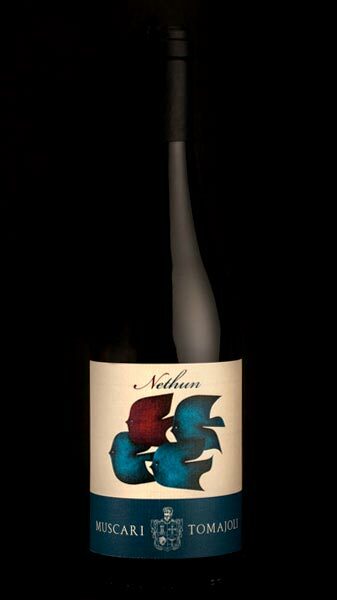 The Nethun is true to the varietal and has a proper texture that you rarely find on the market. The labels were drawn by famous artist Guido Sileoni, who hails from Tarquinia. 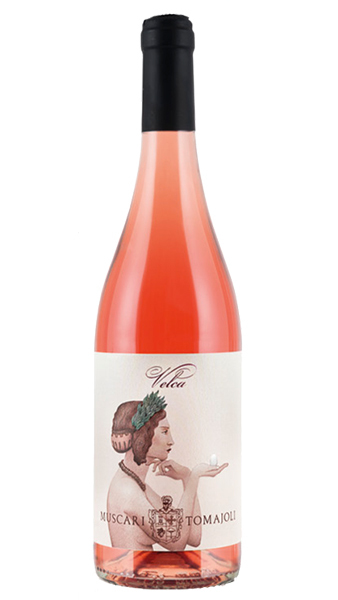 The drawings on the labels are inspired by etchings in nearby Etruscan caves. After all, Tarquinia was the center of the Etruscan world, before the Romans came along and had something to say about that. The Nethun label shows 4 fish on the label, three of which are blue, one red. Marco is this red fish swimming down a different path and proving that the sun does shine in Lazio and the wines have just as much potential as their brothers to the north. Bravo Marco! Notes of grapefruit, cedar, thyme, sage and tropical fruits. The beauty of this wine is the fullness and roundness in the mouth that ends with a mineral driven finish with hints of the aforementioned sage and thyme. If you were in Rome you would find this paired with spaghetti and clams. We also like it with grilled fish and white meat. Another classic Roman pairing for the Nethun are artichokes! Harvest occurs during the first week of September with a selection of fruit. The grapes will then spend time in contact with the skins in the press at 5 degrees celsius. The must obtained from the slow press will then be left at -2 degrees celsius for 48 hours to help maintain the lovely aromas of the grape. From here the wine will rest on the fine lees in stainless steel for 6 months at 10 degrees celsius, thus it will not undergo malolactic fermentation as temps are too cold. The wine is stabilized with more cold, racked off the lees and bottled. A wine that excels with time in the bottle, as it is rather plump out of the gates. With time, minerality, floral notes, and tropical fruits truly shine. Montepulciano is traditionally blended around Lazio, but Marco believes his proximity to the ocean and calcerous soil will lead to a well balanced wine, both in rosato and soon to come rosso. Harvest is towards the beginning of September, and maceration for 72 hours will occur at very low temperatures to maintain aroma. 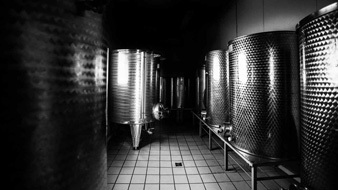 After fermentation, the wine will remain on the lees for 4 months, avoiding malolactic fermentation. 2500 bottles.